Indulgence into Food with Creativity and Style! Last night, JS and I both felt like having something light. So again we had salad for dinner. 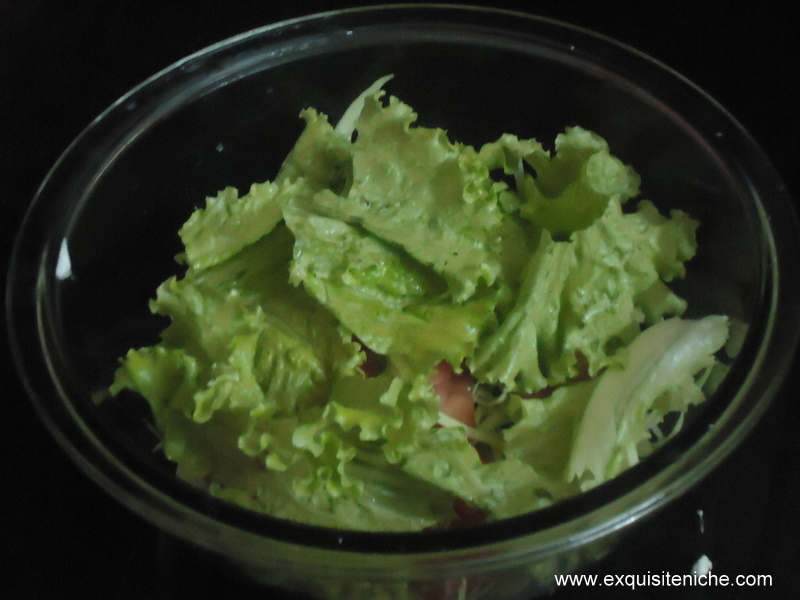 One thing great about salads is that they are not so time-consuming and yet very filling. 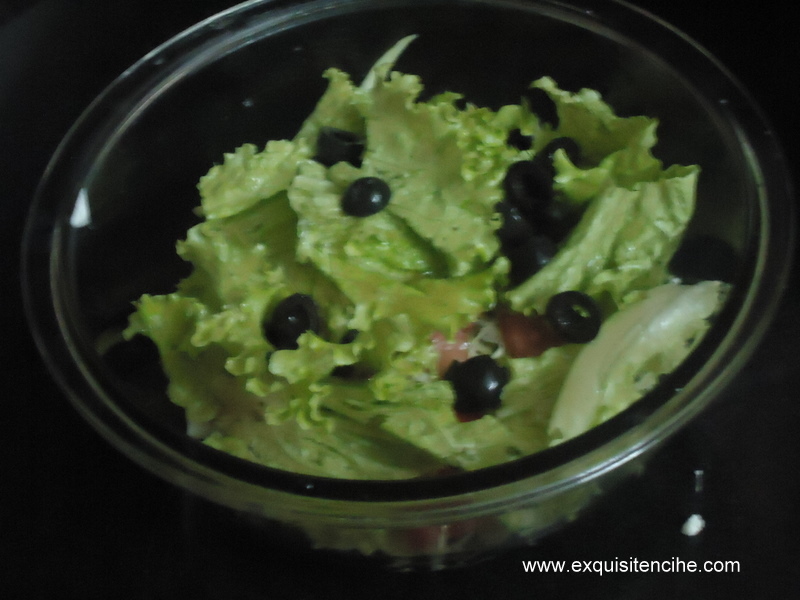 Both of us are really fond of mediterranean food, so I thought that I should try out a Greek salad this time. Something I like about Greek Salads is that it has some tinge of sour taste to it. While I went last week to Citywalk (my favourite hangout), I picked up some feta cheese from my favourite cheese store, Passion Cheese. Being a cheese lover myself, I see their cheese is fresh and tasty. 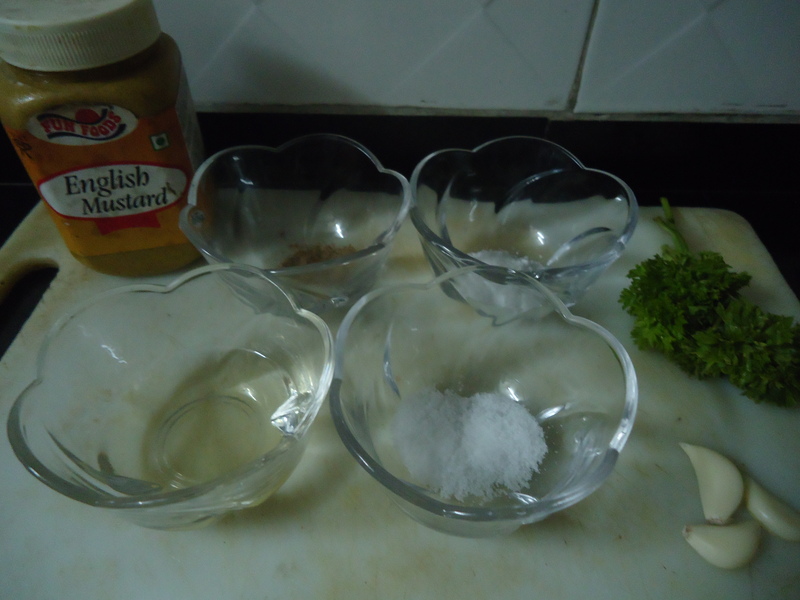 Nowadays all sorts of dressings are available in the market but I usually prefer to make at home. As everyone in my family likes to eat fresh. 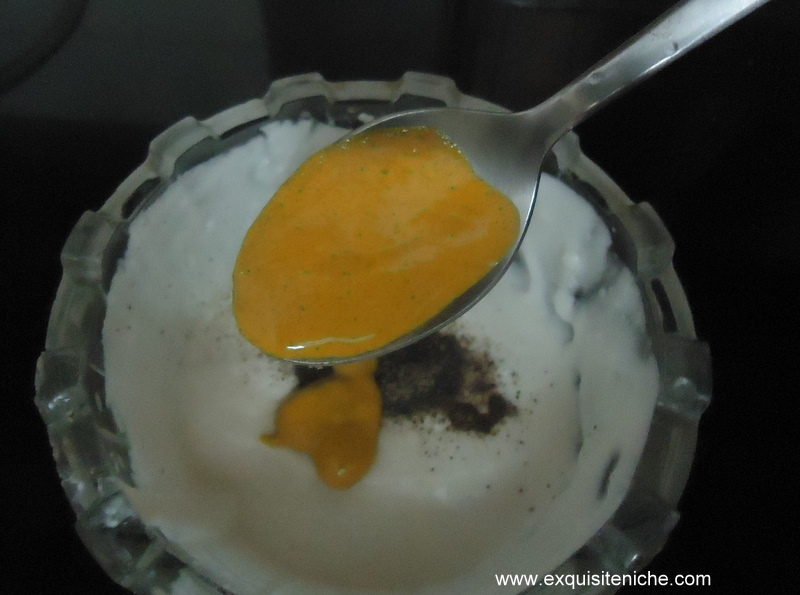 Trust me, dressings are not at all time-consuming. Also, Ingrediets of this salad are easy to find at home. 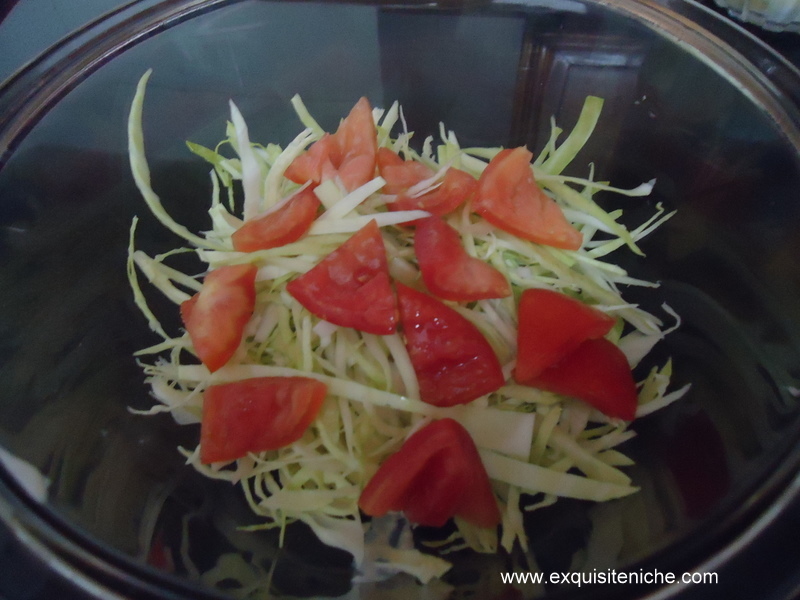 In a bowl, mix cabbage, and tomatoes. Some olives pitted. Chill the veggies in the fridge. Now prepare the dressing. Mix all the ingredients. Bring back the salad and pour the dressing. Put the feta cheese and chill in the fridge. Now prepare for garnish. You can use a stale bread. When they change color remove from the skillet (mine are very brown because I used a brown bread). Immediately add mixed herb and a pinch of salt. 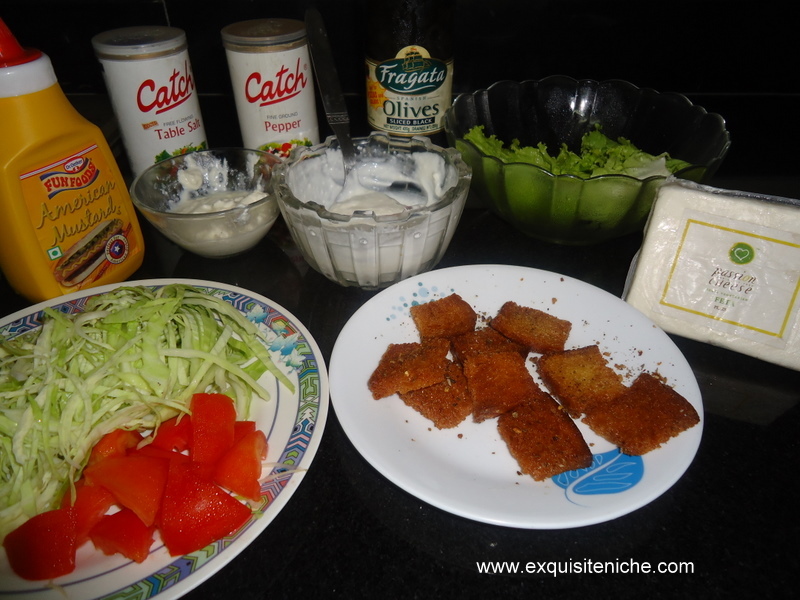 To serve salad, top up the salad with fried croutons. Bell peppers taste really nice in a salad. I missed on that. If you want you can add. Also, feta cheese was cubed in this salad. You can actually crumble it. I usually avoid the fried bits in the salad but this is just to give authenticity to the salad. It sometimes is comforting to replicate the dish that you just ate at a restaurant. Having gained a couple of kilos due to missing my exercise past month. I decided to go on a salad diet. Well something that I love about this salad is their nutritionist value. 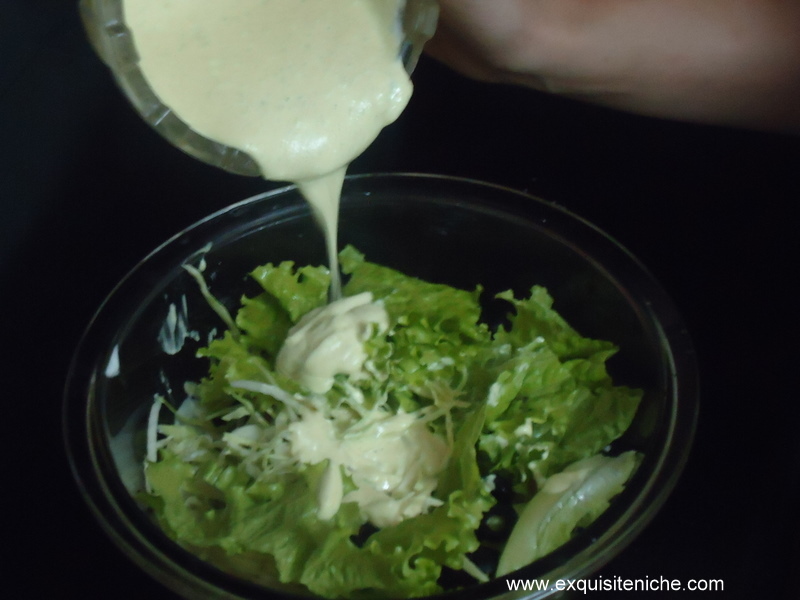 I am usually a fan of vinaigrette as it is not as creamy as the other dressings. 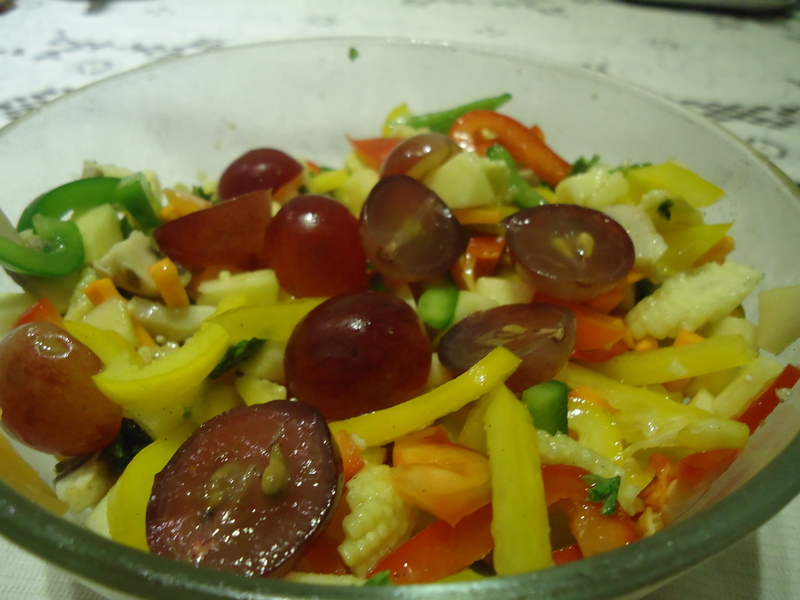 This salad is often relished with my in-laws and husband as it watches the cholesterol and fat content in it. 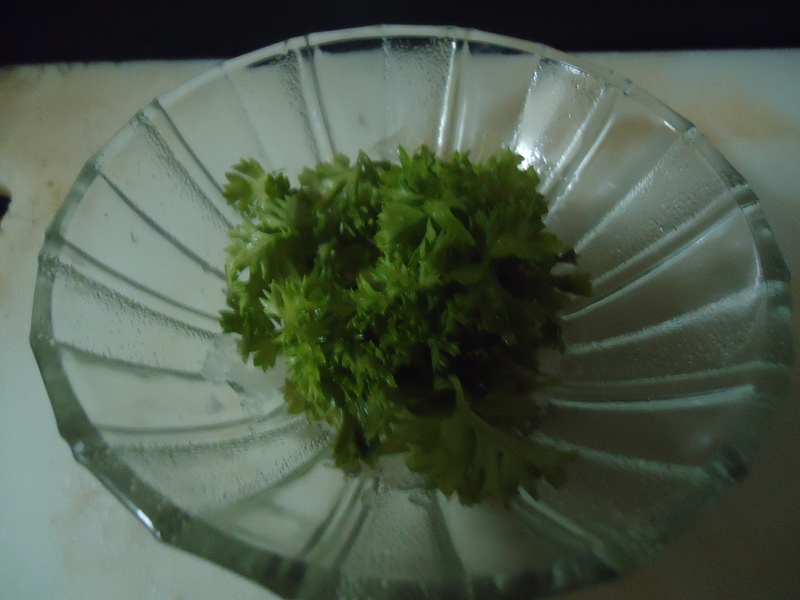 We usually enjoy it in the summer when you want to eat very light. 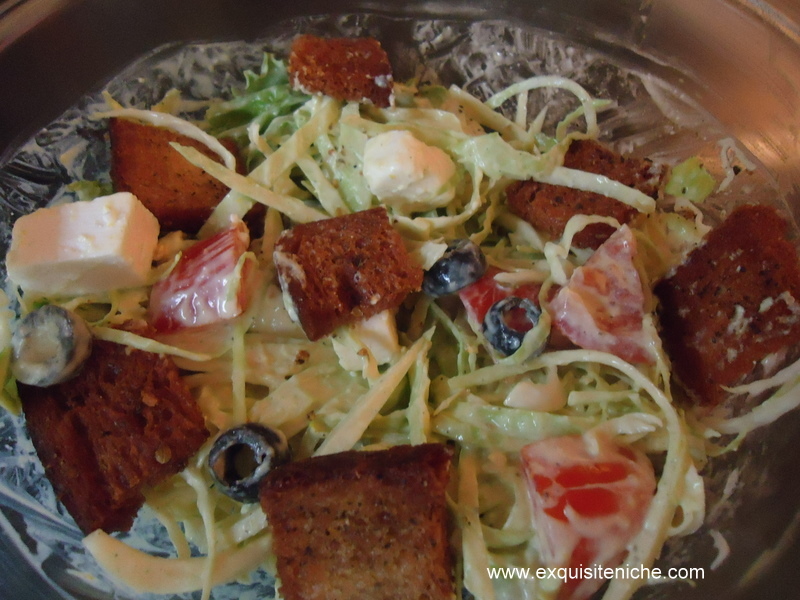 I play around with the content of this salad as I try an incorporate whatever is available in my kitchen. 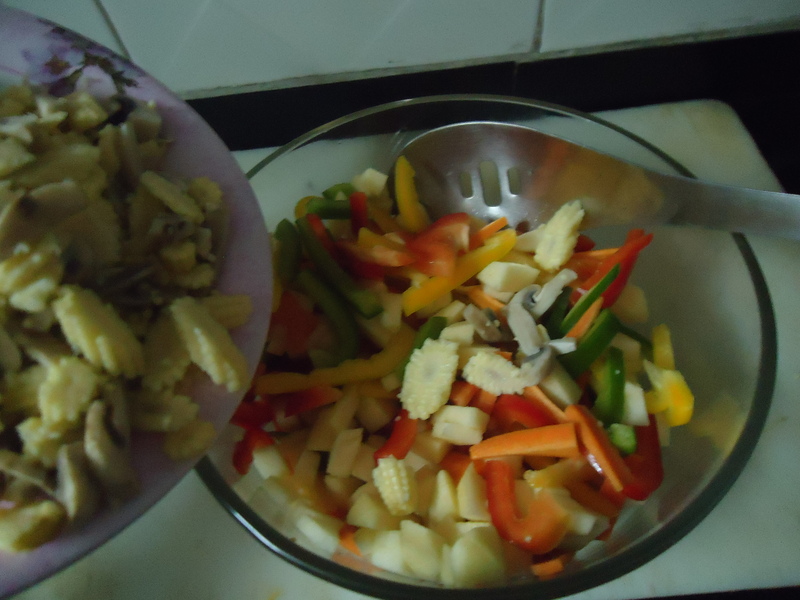 When you make a salad its important to blanch a few vegetables which maynot be edible raw. 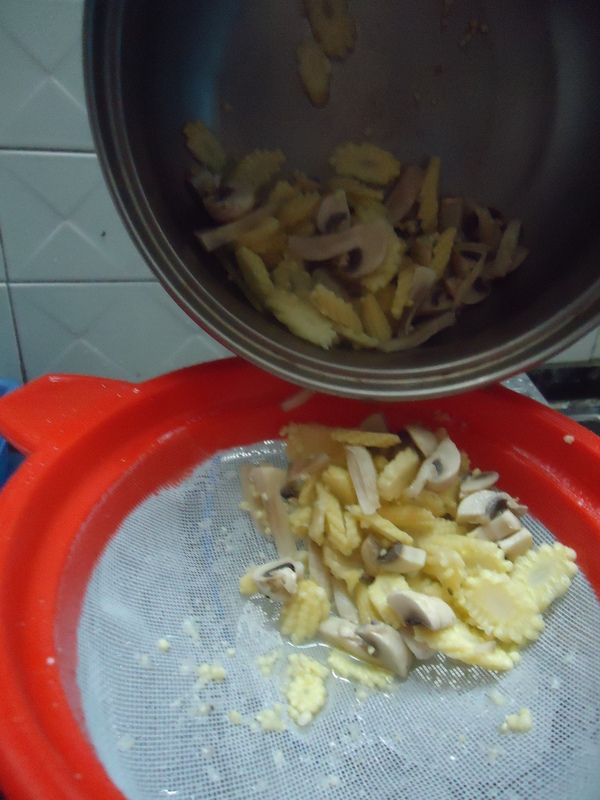 In this case, I blanched mushrooms and babycorns. 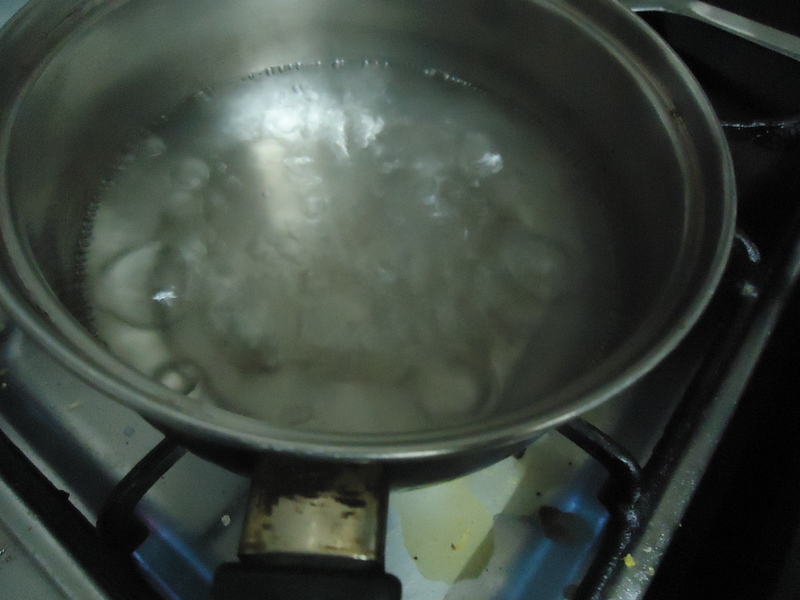 For blanching, boil one cup of water, add one lemon juice and 1/2 tsp salt. 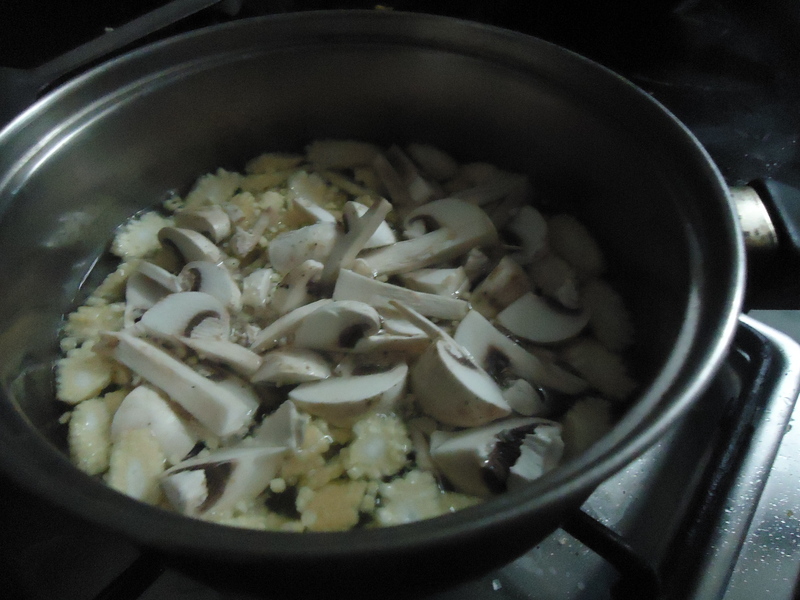 Add babycorns and mushrooms. Let them cook for 2 minutes. Seive the vegies with the help of a strainer. I usually do the blanching first. 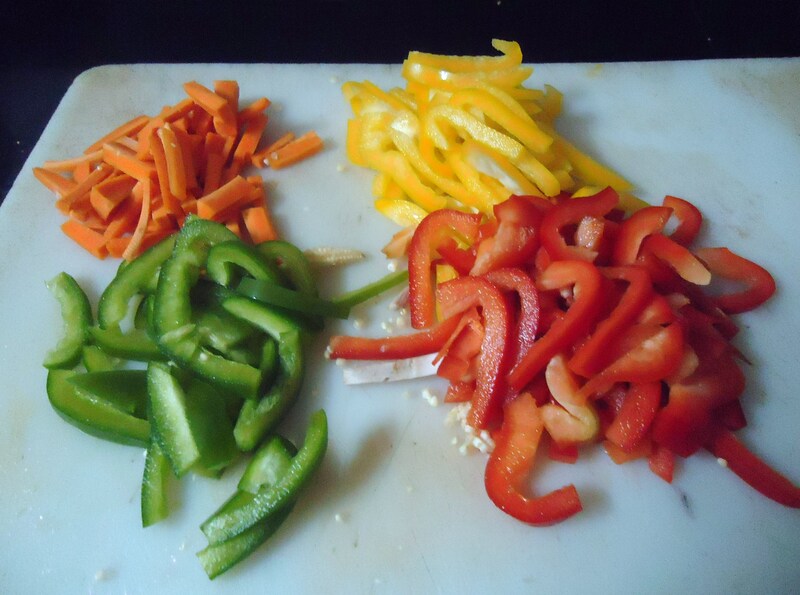 Till the time vegies boil I cut carrot, and colorful bell peppers. 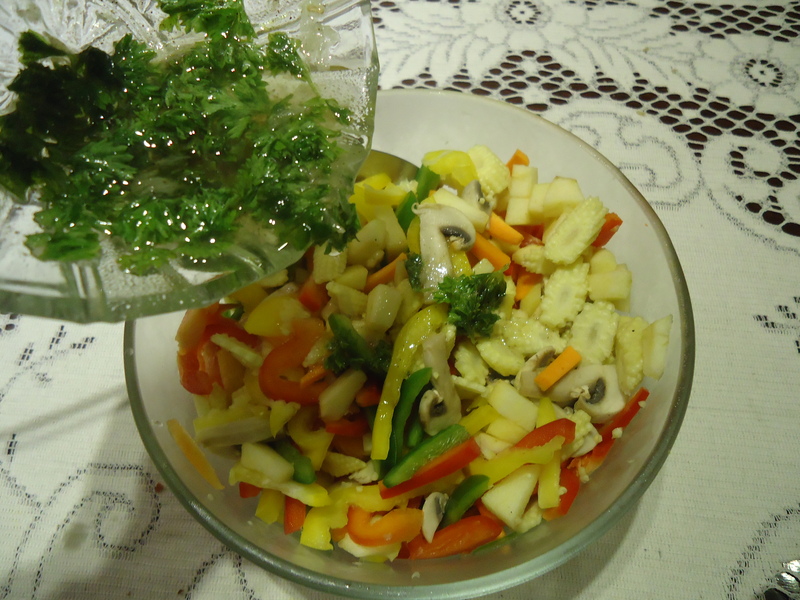 Add all the cut vegetables to a salad bowl. Well, I recently found out that it is very essential to include apple in your diet because it has very high content of fibres required by your body. So go Apples!! Some apples for some sweetness to the salad. 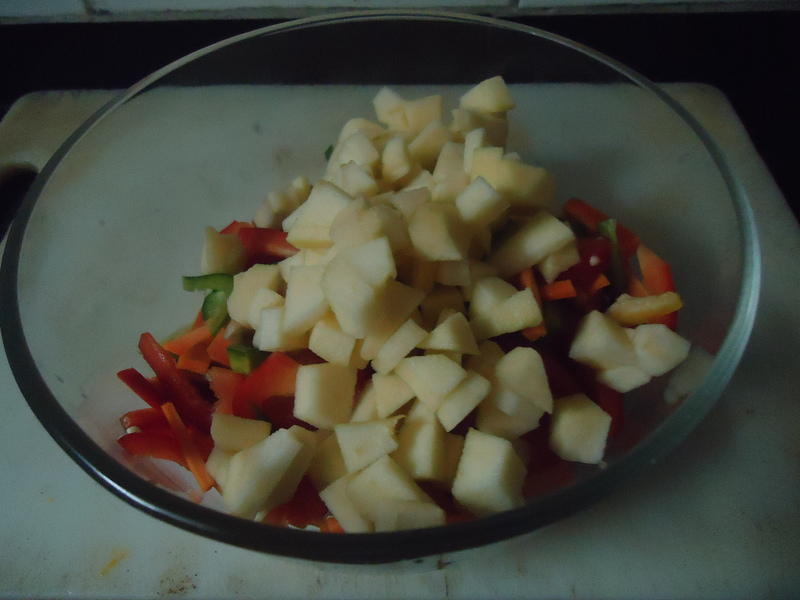 After chopping, I usually put my fruits and vegies in the fridge to chill. Mix all the ingredients of the dressing. Add the dressing to the salad and toss the salad . I usually like to serve my food with style. 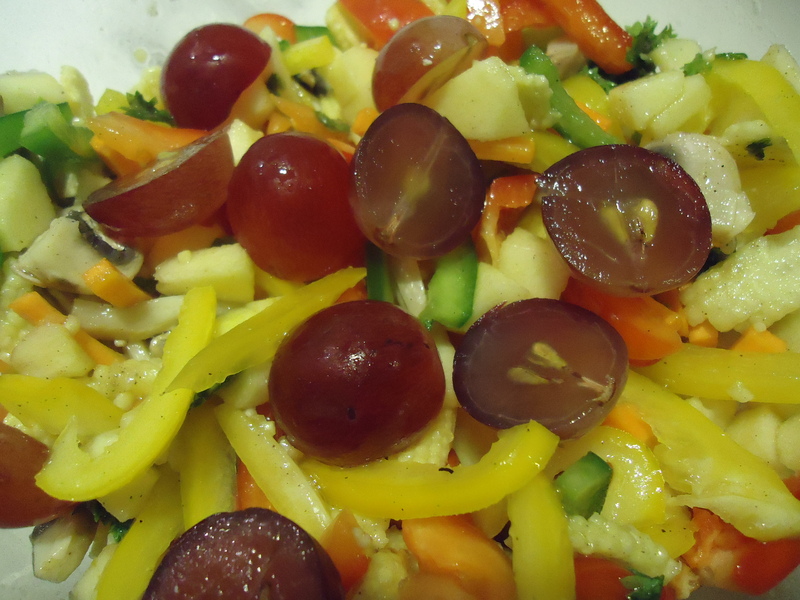 I added grapes to garnish this salad.